Fine Condition in Very Good jacket. First edition, first printing. Clean bright unmarked pages; unclipped jacket, 3.5" crease on rear flap, slight rubbing/creasing to corners of front. 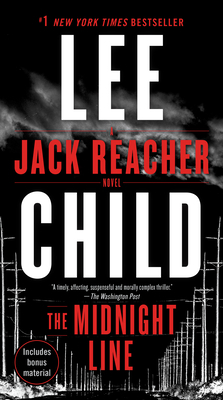 "Reacher is the purest distillation of the white knight in contemporary mystery fiction. This novel is a tightly plotted ride with characters who will break your heart and linger after you close the book." --Mystery Scene 384 pages. Quantity Available: 1. Category: Crime Fiction; ISBN/EAN: 9780399593482. Inventory No: dscf8974.